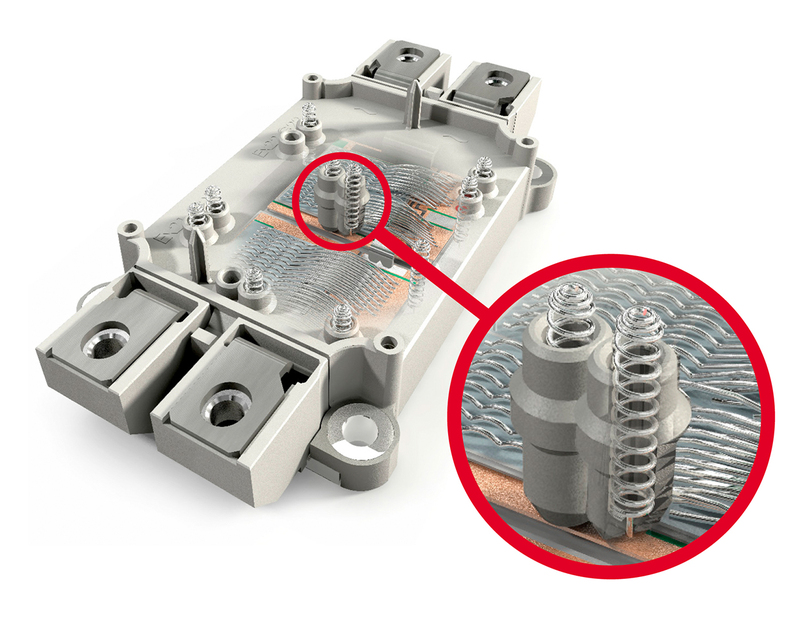 The SPRiNG Technology developed by SEMIKRON in the 90s establishes connections between power modules and circuit boards via silver plated spring contacts instead of screw, solder or press-fit contacts. 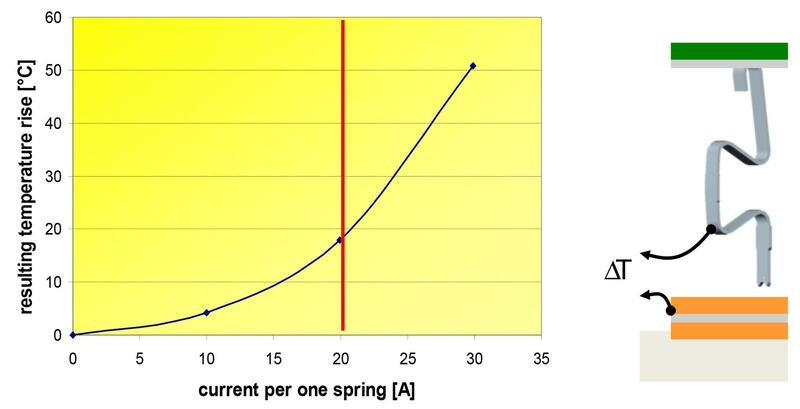 Spring contacts are used both as control connections as well as for power connections within the context of today's rapidly growing current-carrying capacity of circuit boards. Different spring types are used depending on the requirements. For auxiliary connections SEMIKRON uses the SPRiNG technology both within the SKiiP technology as well as in SEMIX modules with baseplates to contact the driver board mounted on the module. MiniSKiiP modules use the same type of spring contact for power and auxiliary connections. Since the springs also have the task of pressing the DCB substrate to the heatsink (see description of SKiiP technology), these consist of significantly stronger meandering flat material. 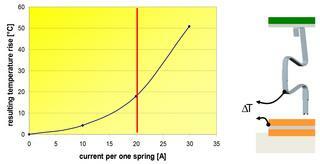 If a temperature increase of 20K is allowed, these springs can carry approximately 20A. For more power contact springs are connected in parallel within the module layout. The main advantages of spring contacts over solder joints can be found in the higher shock and vibration resistance and their temperature cycling capability due to the freely movable contacts. Stresses, thermally or mechanically induced occur during operation, are relieved by the movable contacts, so that a very durable and reliable electrical connection is achieved. SPRiNG technology is advantageous also during assembly, which can be done after soldering and preliminary testing of the printed circuit board. Investment and process costs are low since the completion of the final assembly requires neither soldering equipment nor elaborate installation aids such as press-in tooling. 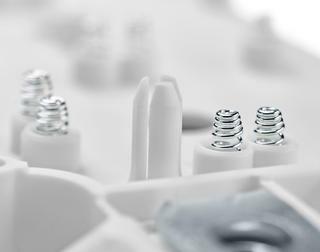 Spring contacts achieve a simple connection of module and circuit board and, if necessary, an equally easy removal.